Tata Group's upcoming e-commerce platform 'TataCLiQ.com' today entered into a strategic partnership with Genesis Luxury Fashion to sell a wide range of international luxury brands exclusively in India. Genesis is the marketing and distribution partner for more than 14 international brands, including Burberry, Hugo BOSS, Jimmy Choo, Giorgio Armani, Emporio Armani, Armani Jeans, Canali, Michael Kors and Paul Smith, in India. This alliance will make TataCLiQ.com the only authorised partner to offer several international luxury brands in India that the Genesis represents, the company said in a statement. Partnering with Genesis will help TataCLiQ.com get some of these brands online in an authentic and authorised manner to the consumer. TataCLiQ.com CEO Ashutosh Pandey said: "Together, Genesis and TataCLiQ.com are also targeting a number of luxury brands that are not present in India or a part of Genesis' portfolio. 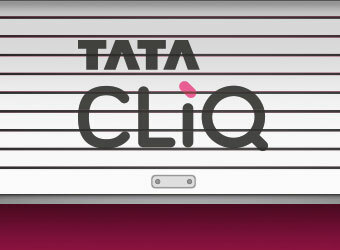 These will be launched over a period of time on TataCLiQ.com." Genesis Group CEO Nikhil Mehra said the partnership will "also enable us to expand our presence to cater to our growing affluent consumer market through the vast online network of TataCliQ.com". The company said some international luxury brands will also be entering the Indian market for the first time with their Autumn/Winter collection in India on TataCLiQ.com. TataCLiQ.com will open to consumers on May 27, 2016 across its website, mobile site and mobile apps (Android & iOS). It will offer apparel, electronics and footwear categories. Over the next few months, the plan is to expand the offering by adding many more categories, brands and exciting features, the company added.